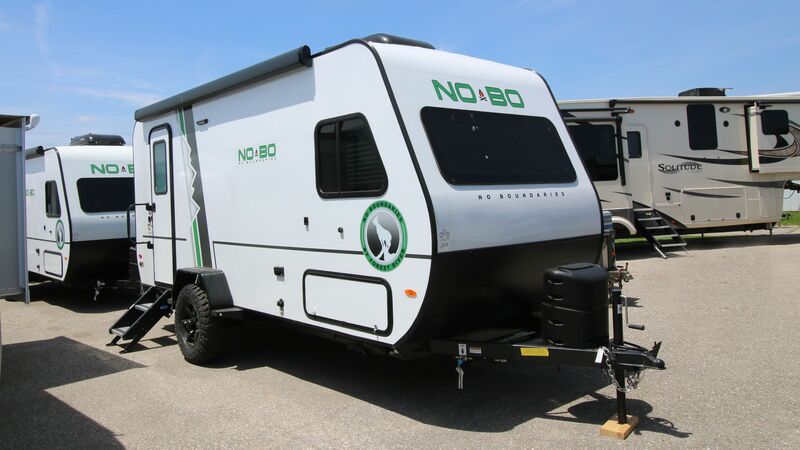 The NO BOundaries line of products by Forest River is an exciting new line of light weight travel trailer perfect for the avid outdoor enthusiast. Towable by both 4 and 6 cylinder vehicles the adaptable storage system will make taking bikes, kayaks, SUPs and fishing gear with you easier than ever. The NO BO features large tires, lots of ground clearance with lots of storage and a clever use of living space. 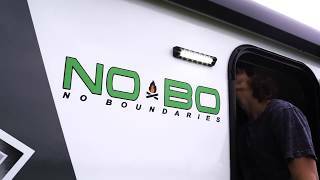 The NO BO comes in lengths ranging from 12' to 25'. Get out off the beaten path and have your next outdoor adventure in a brand new No Boundaries Travel Trailer. Click the button to download No Boundaries brochure.